NCI offers a wide range of both vertical and horizontal flow cleanbenches. 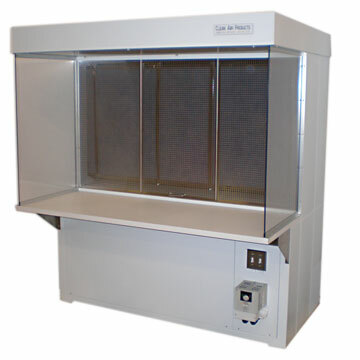 These laminar flow hoods can be either free standing or designed to sit on a counter or table top. Our cleanbenches are available as positive pressure for creating a clean working environment or negative pressure (inflow) for capturing contaminates or fumes. A HEPA filter (class 100, ISO 5) is standard but an ULPA filter (class 10, ISO 4) is optional. The cleanbench cabinets are constructed of durable cold rolled steel or stainless steel. The biosafety hoods are NSF listed. Many of the cleanbenches listed in this section can be used to achieve compliance with USP 797. Please contact us or call 888-270-0458 to discuss your specific application.